As we start a new year and people energies are running high with ambition and optimism towards the coming year, I find it imperative to look back at the previous year. Figure out what worked, what didn’t, what was enjoyable, and what sucked a$$. Each of us wrote an “annual review” post last year. Beyond that, having been inspired by a couple posts from Chris Guillibeau I conducted a comprehensive analysis of my year as well as set goals for 2010 (Chris’ 2010 annual review posts can be found here, here, here, and here). I took the opportunity again this year to do a look back at 2010 and set goals for 2011. Having done this two years in a row, I think that this may very well be the most important thing I do each year. Actors are the CEOs of their own company, and if you’re not creating a business plan each year, revisiting that plan, and tracking progress, then your company simply isn’t going to grow. In order to accomplish something, you need some kind of control over it. That’s where I draw the distinction between vision and goals. Both can be effective, but in different ways. For example, I can say that I want an agent, but I don’t really have any direct control over that. Now I can use the power of visualization to imagine myself with a powerful agent who makes phone calls on my behalf and totally completes my team. However, I can’t actually DO anything about that. I can, however, control how many times I send out my headshot/resume or mailers, how many times I go to networking events, how many times I go see an agent speak at The Actor’s Network (and follow up! ), etc. Almost every goal I set last year that was specific and actionable, I accomplished. Anything vague, however, I did not. Setting a goal like “get an agent” is next to useless. You can’t control it and it’s too vague. Would you really be disappointed if you met with 12 agents throughout the year but decided not to sign with them? Even beyond that, think about how much more you can move forward with a goal like “market myself to casting directors” versus “send out odd-sized mailer to target list of 10 casting directors every four weeks, and work on this every Thursday from 9am – 10am.” Guess which is more likely to get accomplished. On my drive back to la la land I listened to a bunch of podcasts that Keith Ferrazzi was being interviewed on about his recent book, Who’s Got Your Back. Apparently they did thousands of hours of research on the subject of goal setting, and found that “learning goals” were far superior to “performance goals.” As an example, a performance goal would be “to lose 10 pounds,” and a learning goal would be “to learn 3 exercises that I really love.” Not only are people with learning goals more likely to accomplish them and what would be an accompanying performance goal, but they are happier along the way. Instead of losing 9 pounds and focussing on that one last pound you didn’t lose that kept you from your goal, you focus on the 9 pounds of progress you did make. I look forward to setting learning goals for this coming year. Early on in the year I decided to test out my theory that the best way to get acting jobs is via relationships, not clicking and submitting. by and large, this strategy went very well. While my actual number of auditions went down, the quality of projects I went out for and booked went up. I also booked a significantly higher number of projects directly (that is, without auditioning). I built an incredible number of amazing relationships in 2010, both professionally and personally. I co-created the LA Actors Tweetup which so far has brought together hundreds of actors and spawned relationships, web series, and all kinds of awesomeness. Be sure to come out to meet this amazing group of tweeps in 2011. I took the Self Management for Actors Seminar with Bonnie Gillespie at the very end of 2009, and have become very involved in the Class Rules community. I have also greatly immersed myself in the incredible community of non-wactors at The Actors’ Network in my power group and otherwise. I dropped my first agent which is a miletone in every professional actor’s career. 🙂 In the middle of the year I decided to focus more on the theatrical aspect of my career, and was later fortunate to get referrals to a number of top commercial agents, ultimately signing with CESD. They are a phenomenal agency, and I’m proud of myself for leaving a commercial agent who wasn’t right for me, even though I didn’t have anywhere else to go. I will also say that I ended up with this referral because of a relationship I had built over the past year. Again, a reminder of the importance of relationships. Despite a wonderful year, there were a number of things I didn’t do so well. First of all, I didn’t maintain a solid grasp of finances throughout the year. As a result, I ended up a bit in debt. While pretty much every spare dime I had I invested in my acting career, I wasn’t as disciplined as I needed to be. I should have spent more time following Ramit Sethi and on the single greatest financial website of all time. While I think I finally lived up to my theme of “focus and discipline,” it definitely took me all year to get there. I was not as disciplined throughout the year asI would have liked to be. On the brighter side, I think I finally learned what that is going to take. My acting career really took off in 2010, but I didn’t quite get my act together on the marketing side of things. I had specific goals around sending out mailers, doing drop-offs, and the like that I did not achieve. Thankfully by the end of the year I designed and printed both a commercial mailer and a theatrical mailer that I can now send out. Unfortunately I didn’t always take my own advice. Between college and starting a small business, I have become obsessed with data. Data-driven decision making is incredibly powerful. As an actor it can be a little hard to try to get specific about the actual data for your career, but I encourage you to do so as much as possible. Note: Many of these numbers are easily reported from my PerformerTrack account. As for additional data, I could also go back and track the number of agent meetings I had, and I have also done a further breakdown of the exact types of projects I got auditions for, what headshots got me those auditions, how many callbacks I had, etc. I thought about reporting the number of facebook friends and twitter followers I have (which both went up significantly in 2010), but I believe that it’s really the interactions and communication with people on these sites, not the total number of connections. I will say that my interactions have continued to improve on all social media. 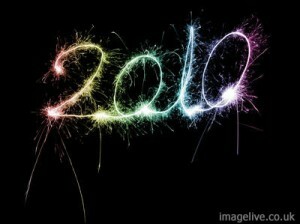 My next post will focus on the goals I have for 2011 and hashing out my business plan for the next year.